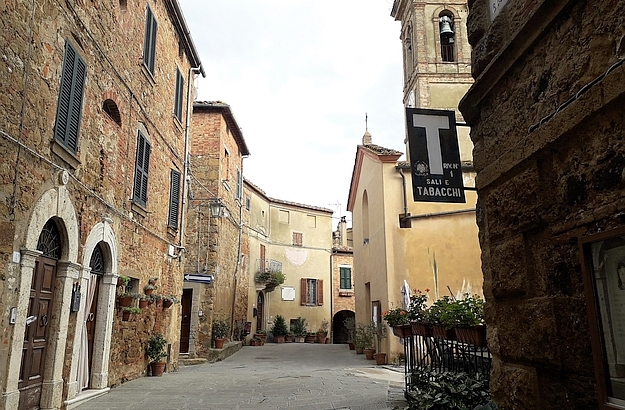 The lovely Tuscan village of Castelmuzio, not far from Pienza. 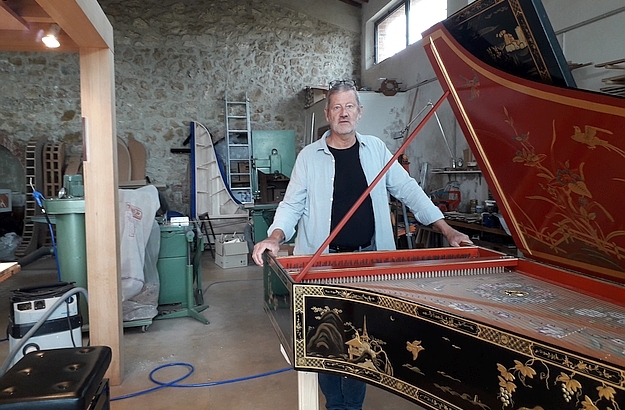 Bruce Kennedy has been passionately making harpsichords for 40 years! 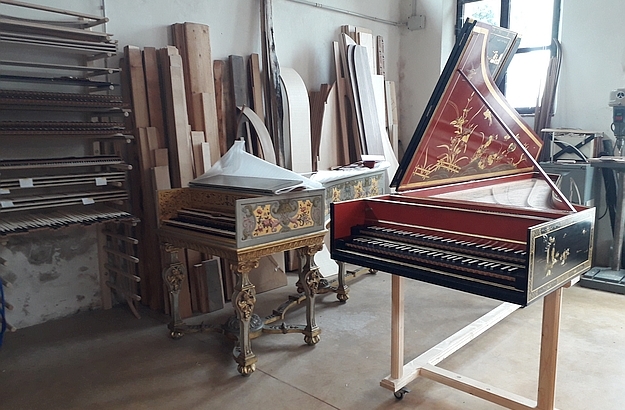 This harpsichord will be used by music students in Rome. 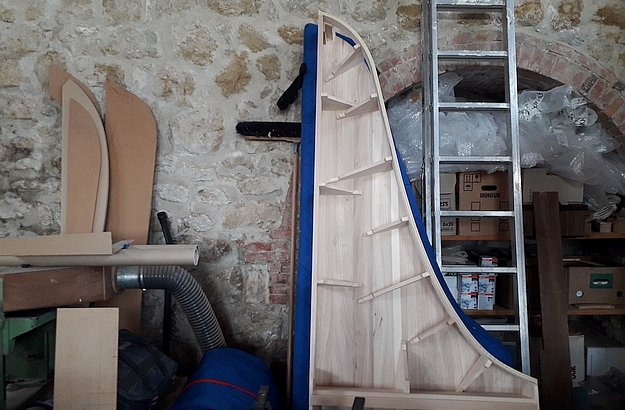 I peeped through window of the workspace, and stumbled upon this! 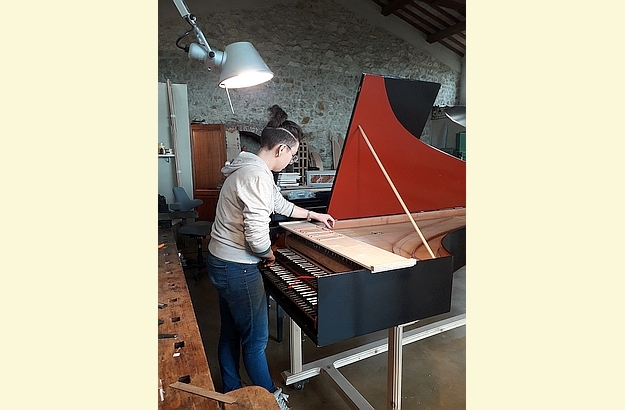 This highly skilled Polish craftswoman works in Bruce’s atelier. 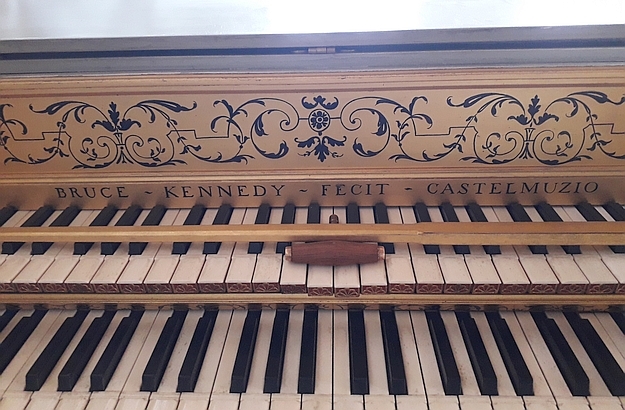 Bruce Kennedy’s signature, on one of his instruments. 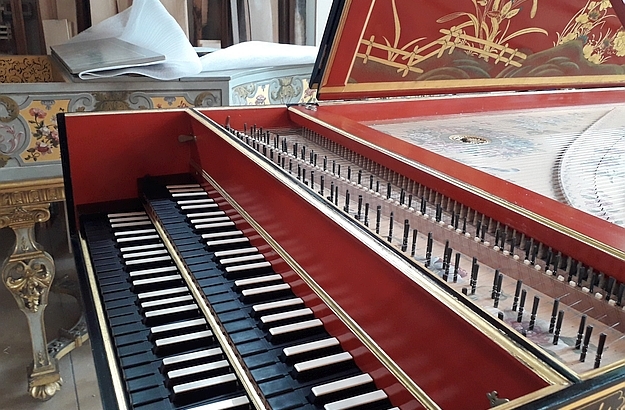 We’re all familiar with the sparkling, unmistakable sound of harpsichords.